This morning, my daughter told me that she want to show me something - a projectile launcher - her holiday project. Over the year, she has drawn really brilliant things. She has also built things. She has a movie series with episodes of Spider Man, etc I downloaded for her on my laptop. It is now 35 series of cartoon. Spending quality time with my daughter today got me thinking (thank God for the opportunity). She likes Spider Man. She likes Turtles (the green one). According to her, she told her teacher that she would like to make a launcher to have an edge in battles. She built something that I might not have even done while in secondary school, in Nigeria. She knows about circuit, dc motor, wires and their basic colours. The mechanism of projectile, etc. She turned 5 in June. In coming days, I will guide her on how to draw the launcher in Microsoft Paint to integrate in her movie series. The launcher has beads to control the speed of launch, the lighting mimics the projectile in action, the tall thing on top, according to her is to scam for enemies with camera, etc. Without making anything out of this, I now understand why America is such a great nation. The way they train their young ones. At six, they read and write. They train them to do everything and practically provide tools for them to be prepared. My daughter attends one of the best Montessori school in my area. Her quality of the teachers is legendary. Her class teacher is an Early Years Foundation Stage (EYFS) expert. And when parents gather together, you see normal kids being transformed through a well-designed process. They give them flowers to nurture at home watering them to see how far they can grow before they die. They have pet fishes in aquarium tracking their phases of growth. They assign them insects in school labs to experience metamorphosis, real. They dig the ground looking for worms to know where they live and what they eat. Sure - there is no way to compare U.S. and Nigerian education. It is fair to say that if we can do things right, we will likely get an outstanding outcome. Nevertheless, our nation must really work harder to deepen the competitiveness of our younger people. The kids they will compete against in the next generation are not sleeping. No nation can talk itself into technology strides. Every nation has to plan and execute it. Please, do not attack me, this is post is purely to provide perspectives on our educational systems. More so, this writeup is to get people to think what I see as a weak link in Nigeria. We really need to focus on those little angels in primary schools more than the university students. Nigeria has forgotten its primary school kids which is unfortunate (if the foundation is weak what can the righteous do?!). The most important education I had was in my secondary school. That was more important than anything afterward. In secondary school, I took 12 subjects and made good grades in some of them. But to do that, I had to write GCE in SS2 for Geography, History, Government, Biology and others they would not allow me to register in SSCE owing to the structure of the system which focused on defining specialization very early when students should be allowed to dream, unconstrained. I remember one of my uncles insisted that without passing them in GCE, I could not claim that I took them. In SSCE, I took Maths, Economics, Commerce, Financial Accounting, Agriculture, etc and signing up for some of these subjects was a compromise to the Arts subjects. But without Economics, I would not have picked some critical skills which continue to help me in my business dealings. Ngozi Okonjo-Iweala (a Nigerian economist and the first female Minister of Finance of Nigeria) son, Uzodinma, is today a surgeon, but he graduated from Harvard with English and American Literature and Language degree! Can that happen in Nigeria? Someone that started with B.A. Literature in English becoming a doctor? It did not took Uzodinma ages to transition because the system prepares him for whatever in life. We have a really broken educational system that boxes students in a corner even before they begin. Education is the liberation of the mind, but instead of helping to liberate the mind, the Nigerian system imprisons the mind, even at a tender age. Quality education is about three things: the child, the context in which learning takes place, and the knowledge and understanding which the child develops and learns. Back to my daughter, she returned with 50% scholarship on her tuition for next term because of her outstanding performance this term that just ended. 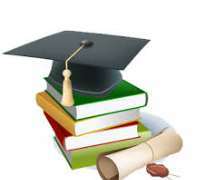 The scholarship was made possible through the help of her generous proprietress. Disclaimer: "The views/contents expressed in this article are the sole responsibility of Adeogun Kayode and do not necessarily reflect those of The Nigerian Voice. The Nigerian Voice will not be responsible or liable for any inaccurate or incorrect statements contained in this article."